A very worrisome incident has come to light when a BMC bulldozer demolished the gate of a society deliberately and without any warning, notice or even stated reason. The gate had been standing for 50 years in that very place till the 9th of October 2013, when a BMC bulldozer arrived at 11am and abruptly razed it without prelude. The whole exercise was complete within 10 minutes. The society is now less secure and property and safety of residents is exposed to theft and nuisance 24 X 7. 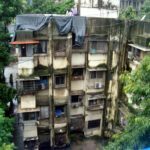 “By the time the building residents could react and get down to the spot, the BMC staff had already finished their job and sped away,” says Jagdish Gianchandani, who is known for taking up consumer and cooperative society causes for legal assistance. Shocking as this is, it could have been considered to be typical incompetence, if not for the other details of this story. Shop No 1 below the building used to have an illegal extension that had been demolished in February (by the BMC). It had been demolished in a manner that left its MS bars in tact, which is often how it is when illegal construction owners make deals with the BMC staff, who are supposed to demolish illegal constructions completely, but can be “persuaded” to “demolish” them in a manner that allows easier and faster reconstruction after a token time has passed. 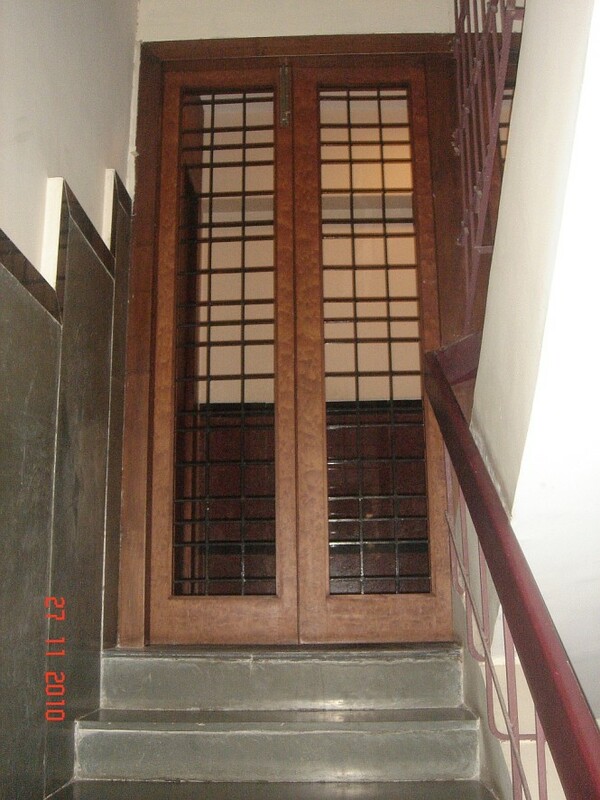 In this case, vigilant residents of the building had prevented the illegal extension from being reconstructed, leading to ill-will between society residents and the shop keeper, whose shop was closed for renovation since the illegal extension had been demolished. 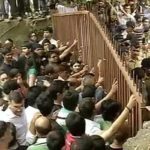 Society members claim that the shopkeeper had engaged local thugs to prevent essential repairs to the society gate and safety grill in revenge and to intimidate them. They allege that when they persisted and carried out the repairs anyway, he engaged the BMC to destroy the gate, since he was present and gleeful during the demolition at the appropriate time, while he normally no longer comes to the shop since it is shut and he reportedly resides at Nerul. It seems too much of a coincidence to believe that the BMC demolition of that gate was a coincidence and it is a worrisome indicator of the state of municipal services if they can be employed in this manner interchangeably with thugs.